My last blanket of 2013 is for a friend who is gifting this to her husband. 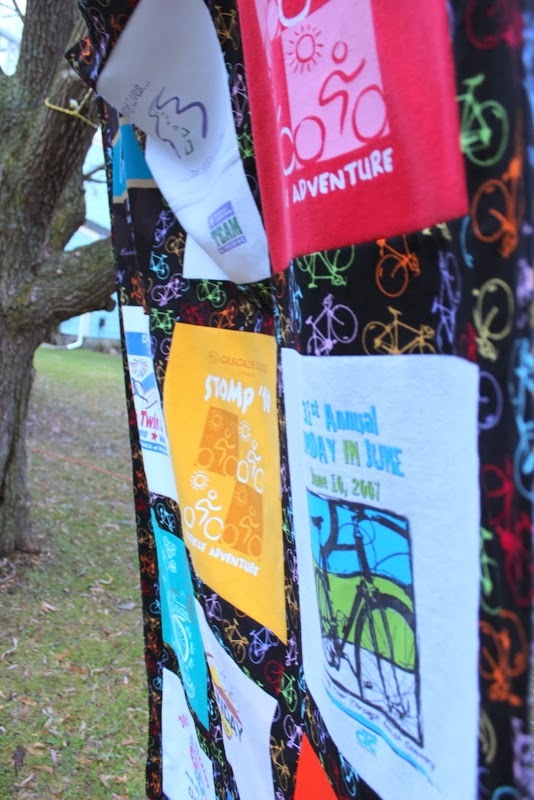 It contains about 15 years worth of various bike races for wonderful causes. She carefully selected the fabrics. 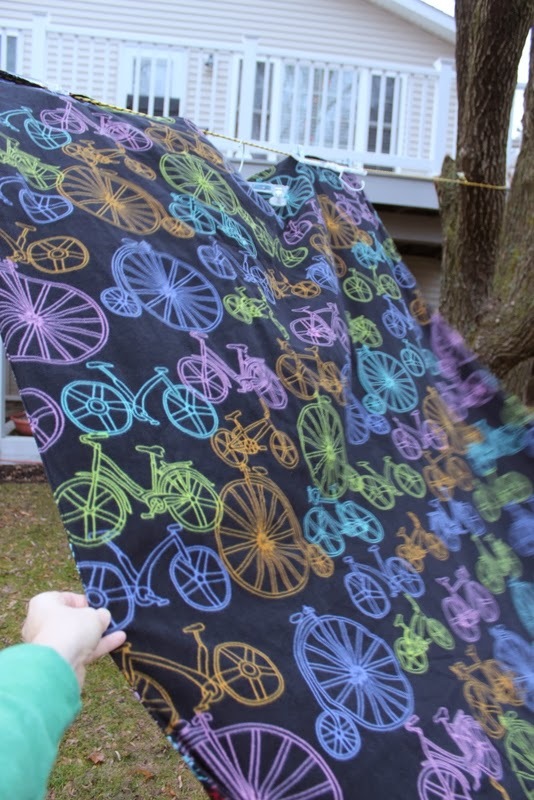 We looked at all kinds of bike fabrics, but the black with colorful bikes was just the kind of bike she wanted. 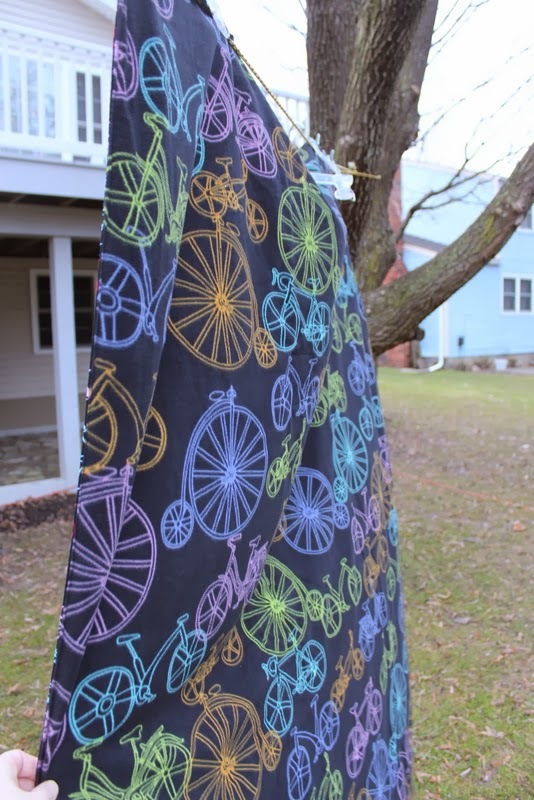 The back is a micro fleece – also a fun, bicycle fabric! 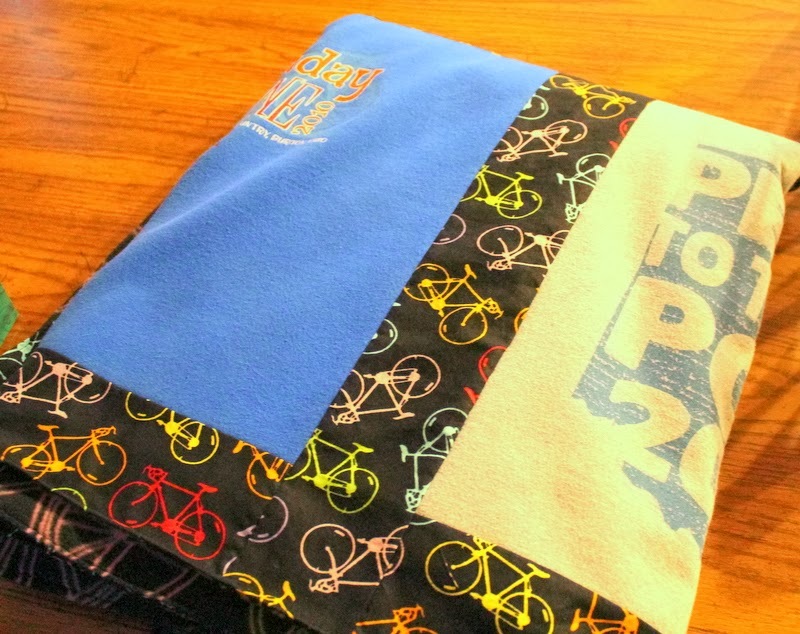 The micro fleece is thinner than the other fleeces, so it makes a nice and compact blanket. 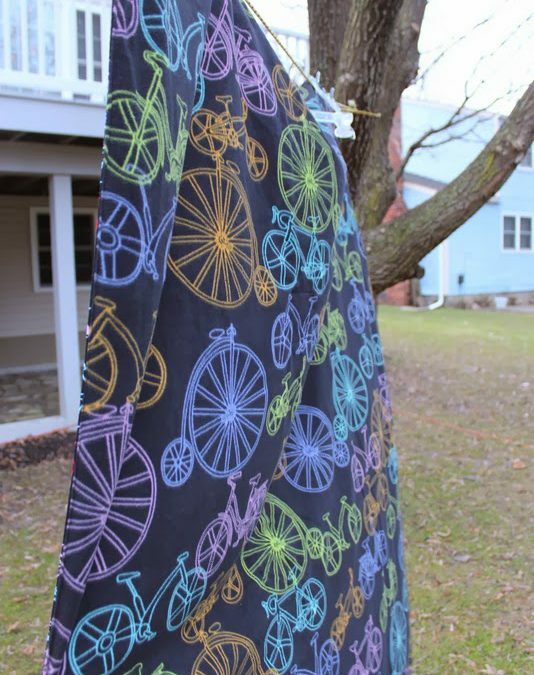 I love how many of the shirt colors are captured in the fun sashing fabric as well. 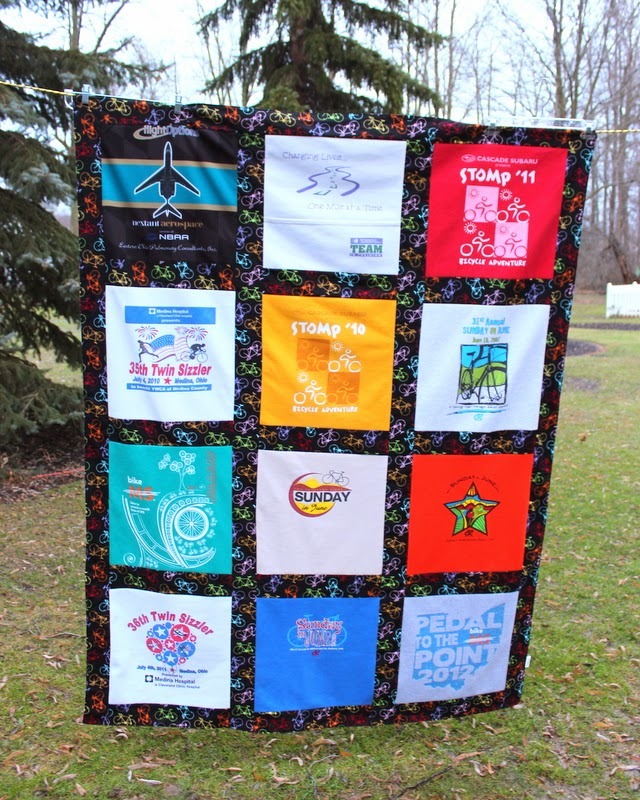 I also finished up these 9-block blankets for a local customer. 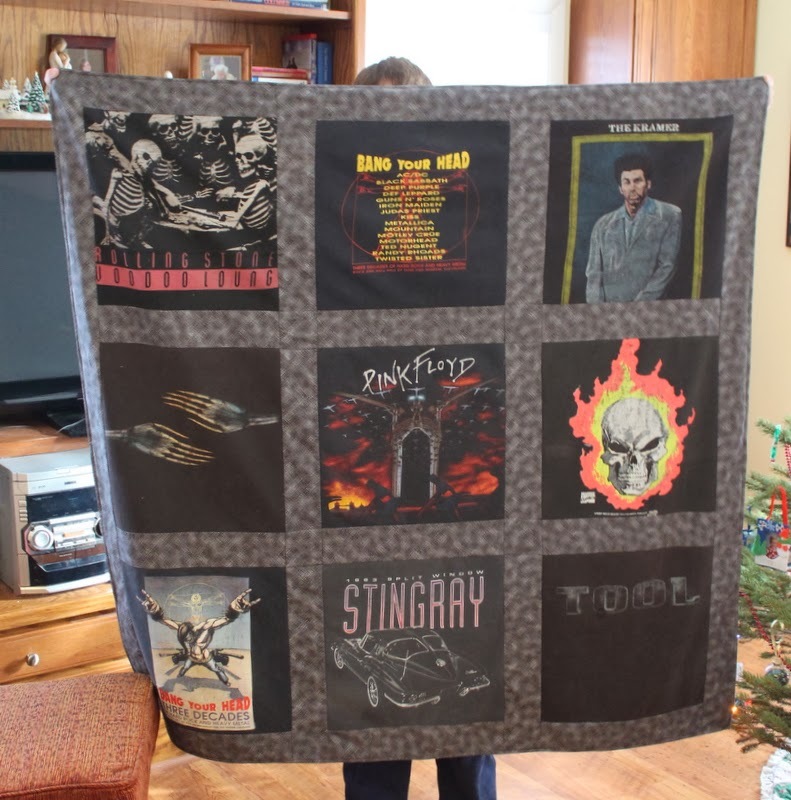 This one has some really old rock n roll shirts! They had some holes in them, but I believe the interfacing will keep them strong. 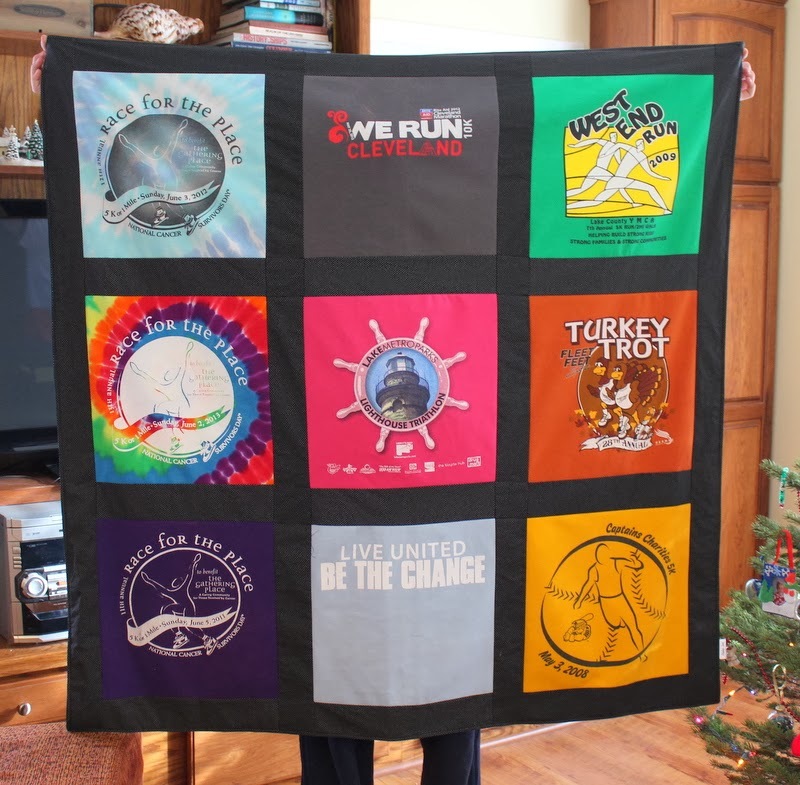 And this one is my first runner’s blanket! It holds a lot of memories for the owner! (Who is darn cute, by the way.) And I’m so inspired by her runs! If my calculations are correct, I completed 65 blankets this year! I will take some time to look back on the year and forward, as well.